Christmas 4 Missionaries, formerly known as Agnes Robinson Missions Offering, is an annual opportunity for people around the IPHC to help provide a monetary Christmas bonus for our full-time and retired missionaries. 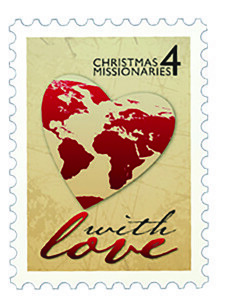 Payments are made to the missionaries in late November, but funds are received year round. This offering tells a story that is still being written. It is the story of dollars given by IPHC women around the United States, dollars that spread heart-felt smiles, holiday meals, needed medicine, precious memories, and more in their wake. These dollars tell a story of care to countless missionary children. But they tell other stories as well. Russell Board, Director of Missions for Asia/Pacific, was able to overcome tight finances caused by the falling value of the dollar in Japan and bring increased Christmas cheer to his family. Gifts were purchased, meals were shared, children came home, equipment was repaired, emergencies were covered… the list goes on and on. Be a part of the story through your gift. 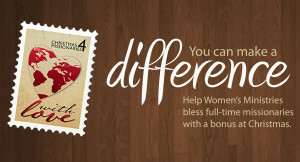 You make the difference in the life of a missionary! You can give to Christmas 4 Missionaries through your local or conference Women’s Ministries, or contact General IPHC Women’s Ministries at 405-792-7132 or women@iphc.org. 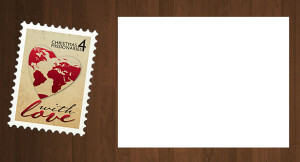 Download Christmas 4 Missionaries flyers and plug in your information!